Hi everyone! I can't believe it's July already. 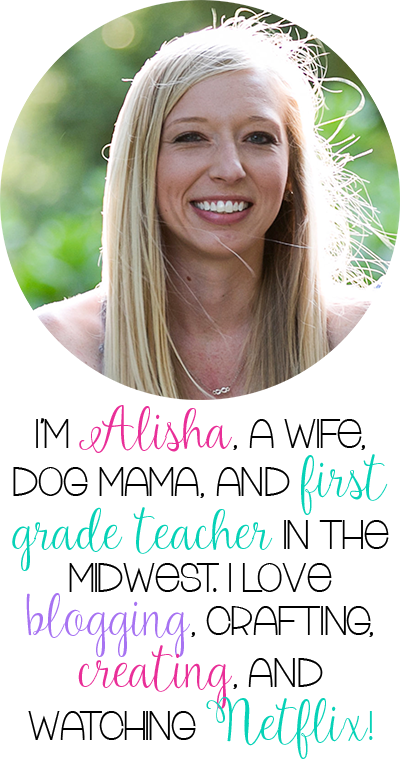 Summer is flyin' by and now I'm starting to think of little things I can do so that I'm not rushing around at back to school time when I have a classroom to get ready, lesson plans to plan, and 20 new first grade faces to meet. Teachers report back August 15th for me, but you know I'll be in before then to get everything ready. Eek! 1. 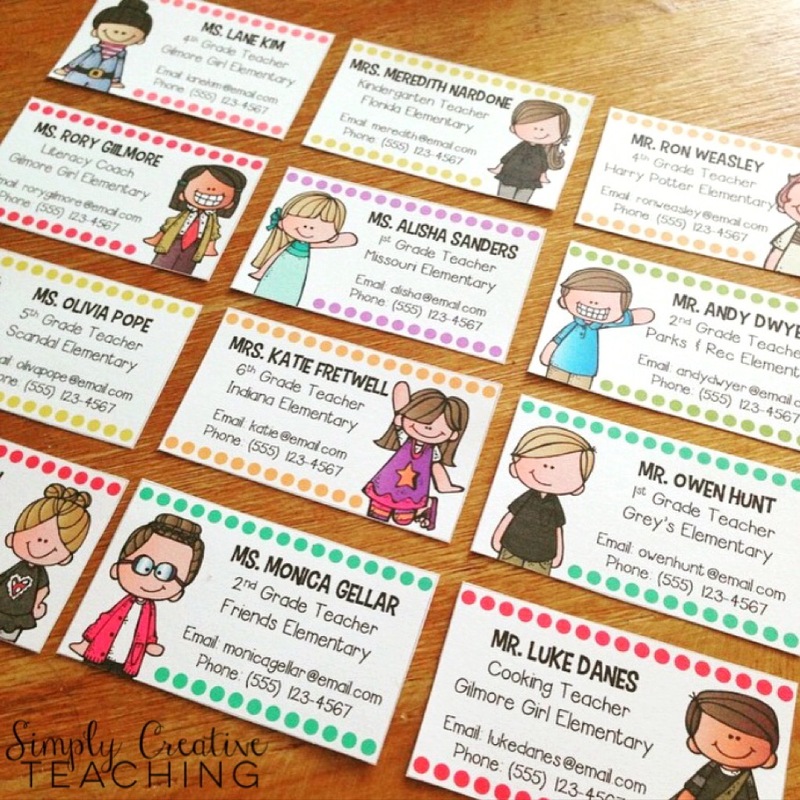 Make some sweet bookmarks for your kids! 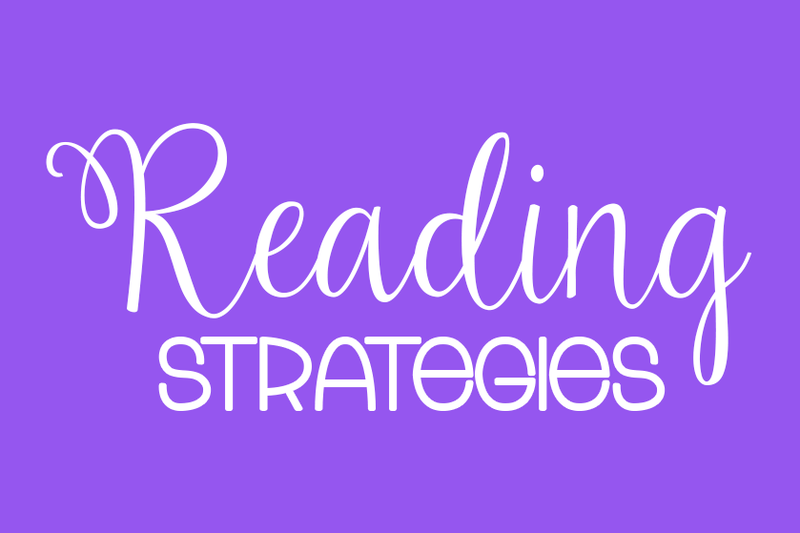 You can find these bookmarks free here. 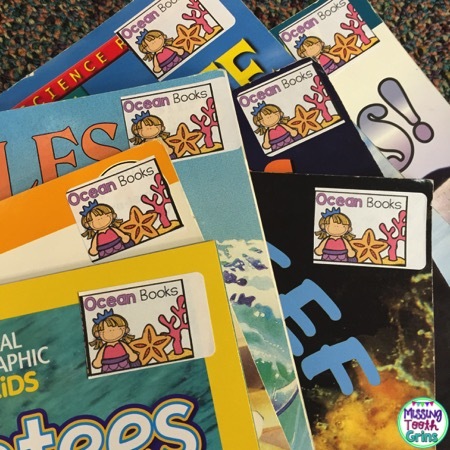 These come in grades k-6. I already prepped mine by printing them on bright colored paper and cut them. 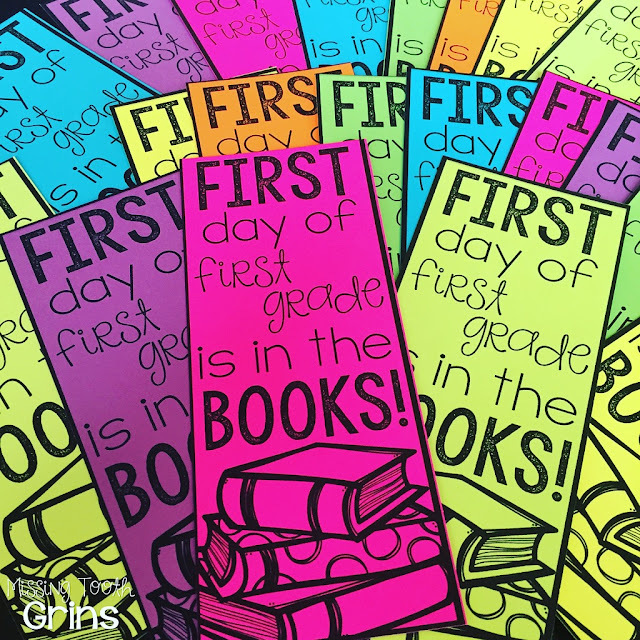 I am ready to pass them out at the end of the first day of school. I did this last year and the kids went crazy for them. They love bookmarks! 2. Prep your back to school night treats. Another quick and easy thing you can do is prepare your back to school night gifts. In the past, I've given different things like cookies, goldfish, etc. with a cute little treat tag. 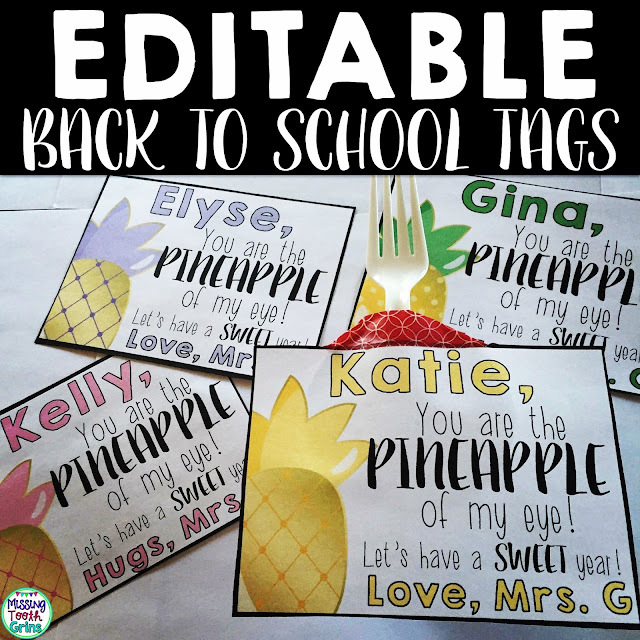 This year, I went a more healthy route and created these little pineapple tags and attached them with washi tape to a pineapple cup and a fork! 3. 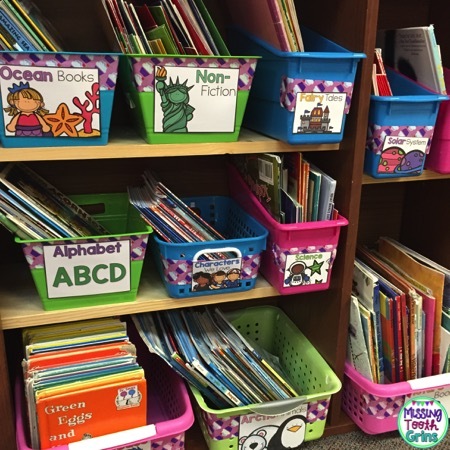 Organize your classroom library. 4. Prep your back to school brochures. I can't wait to use these name contact cards from my friend Katie at Simply Creative Teaching. I plan to leave these on student desks along with a brochure (see below). 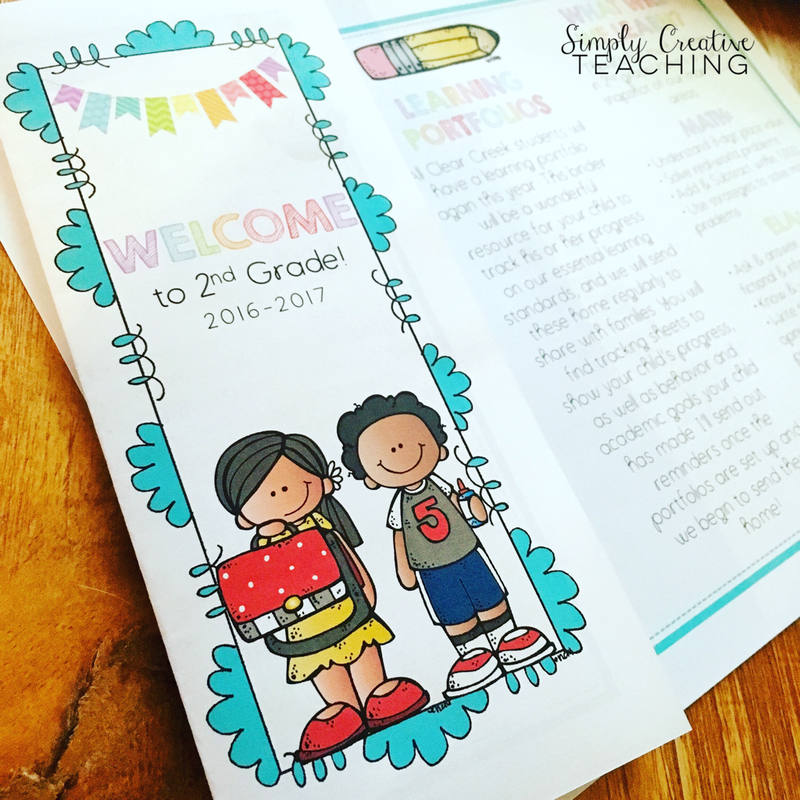 One staple in my classroom is these back to school brochures, also from Simply Creative Teaching. Prepping these and the contact cards is such a good summer activity. I will wait until right before back to school night to print the brochures, just in case something changes, but for the most part they will be ready. 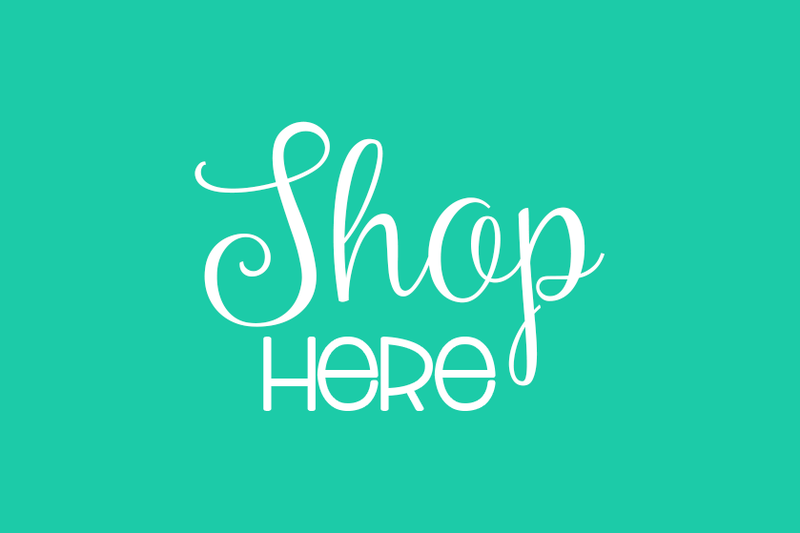 Now is the time to get all of that printing, cutting, and laminating done. 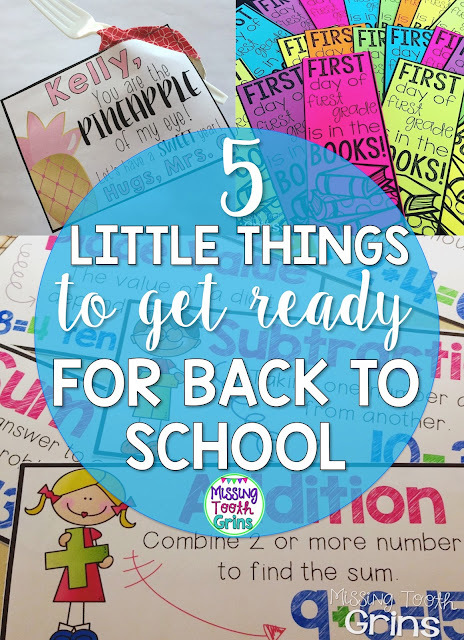 Think about the different things you want to try this school year that maybe you thought about last year, but simply ran out of time because of the back to school craziness. 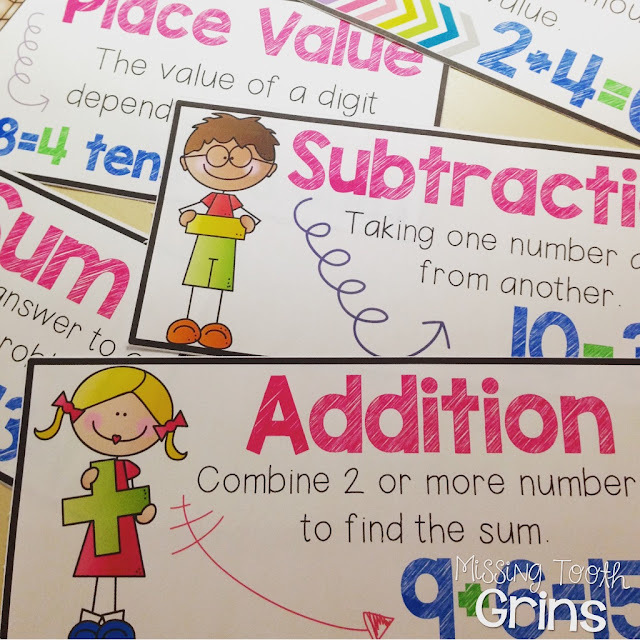 It could be math vocabulary cards (that was me last year). 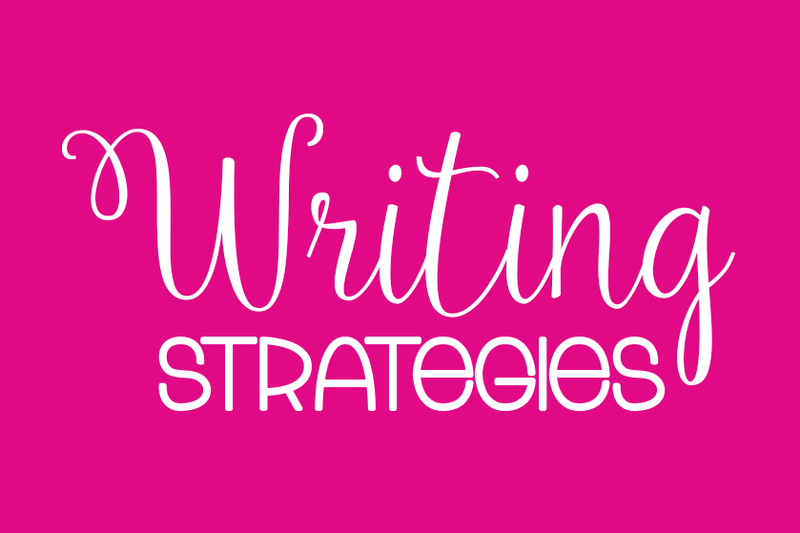 It could be a really cute banner you wanted for your writing bulletin board. Shoot, it even could be Christmas math centers! I hope you've enjoyed my simple tips. They're small, but they'll help when you're in that back to school crunch! Hey, sweet girl. Love reading your sight. Have a wonderful year!